This card came together rather quickly using some of my MCT dies. 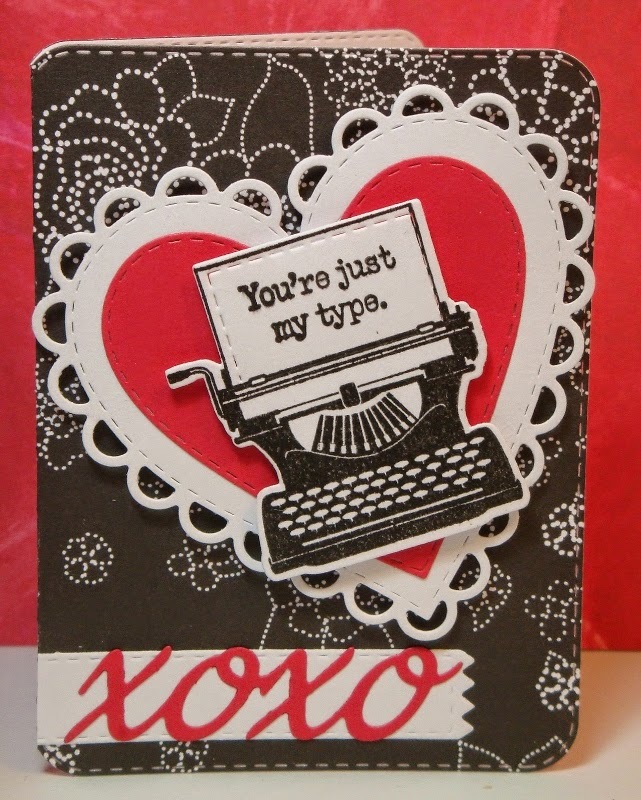 I popped up the heart and the typewriter for "double" dimension. 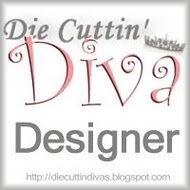 Join in the challenge this week by submitting your card, layout, or project at Die Cuttin' Divas. 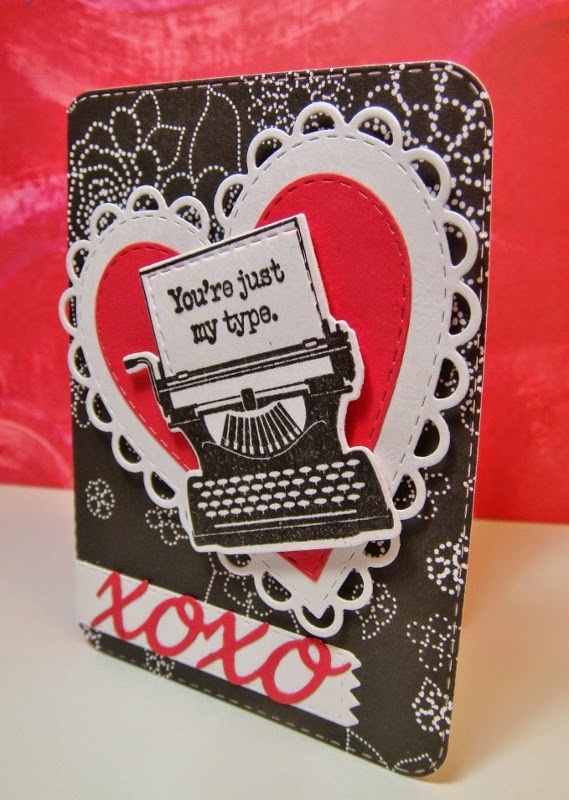 The theme is Anything Goes, but be sure to use a die cut, and link your post back to DCD. This is so sweet Pat! Love the card the stitched heart is beautiful . Have a Blessed day, DIANA L.